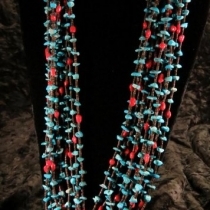 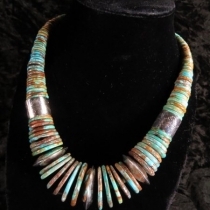 Nestoria Coriz began learning all facets of heishi, bead and stone work from her paternal grandparents, Santiago and Trinidad Pena, at the age of 6 years. 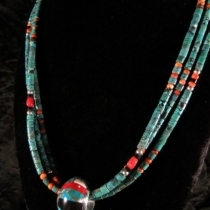 Her first tasks were to buff stones on buckskin floor rugs. 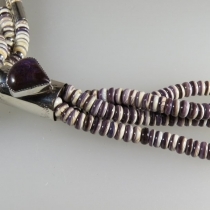 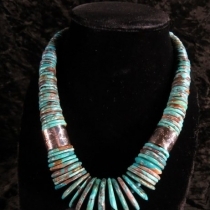 At that time, there was little if any electrical power at the Santo Domingo Pueblo and so all jewelry work was created by hand. 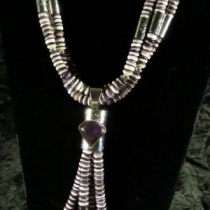 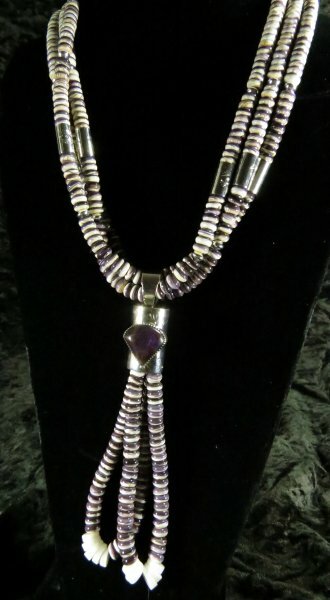 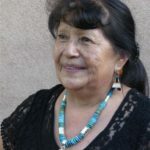 As a teenager in the early 1960’s Nestoria learned to make silver jewelry when she began working at Turpen’s in Albuquerque along side her father, Lupe Pena. 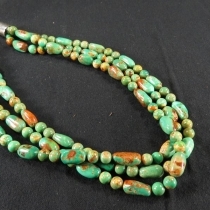 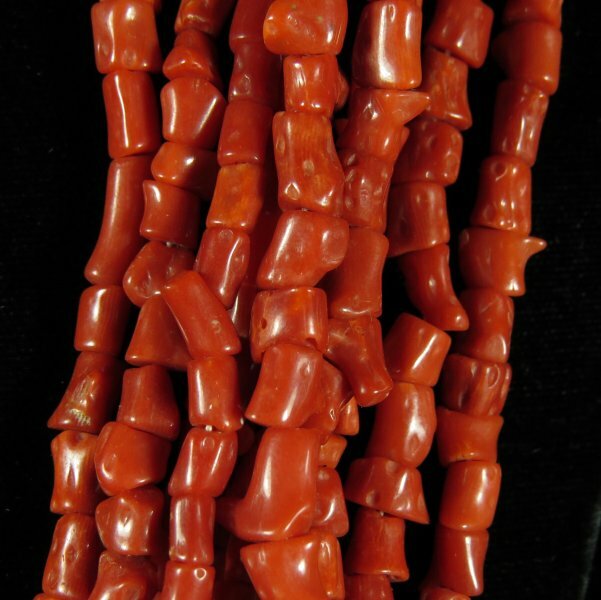 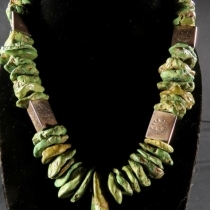 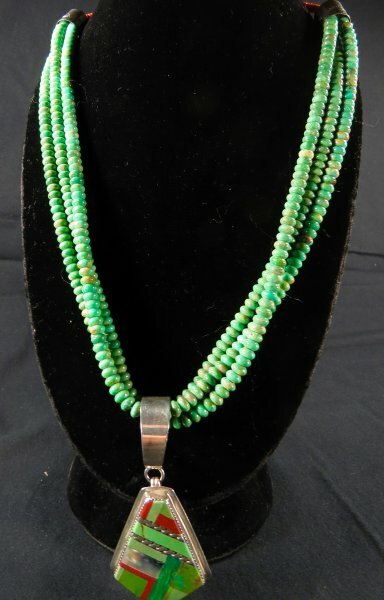 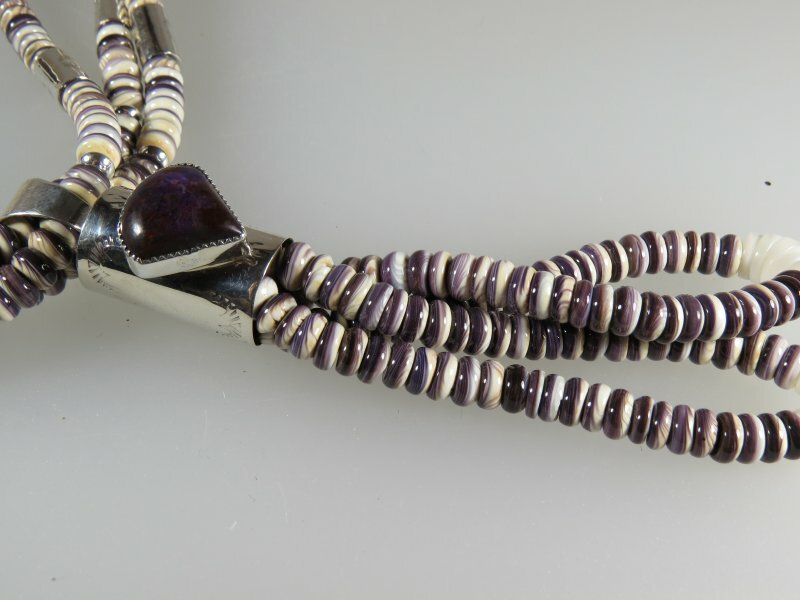 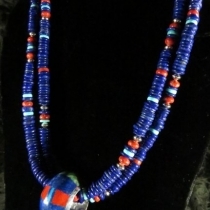 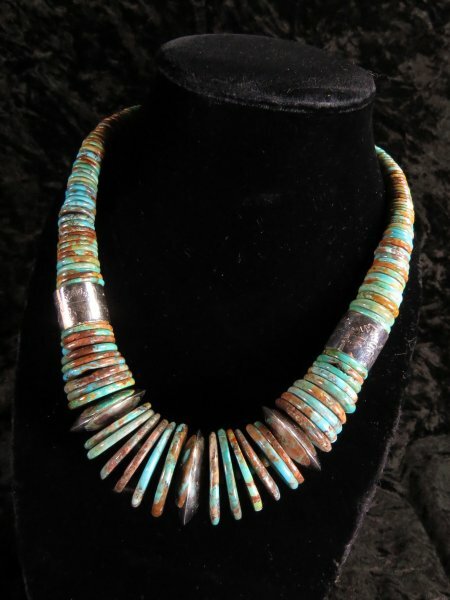 She is self-taught in all aspects of the design and construction of her necklaces and jewelry. 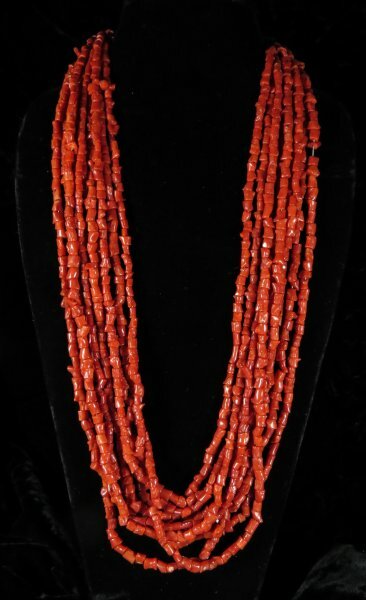 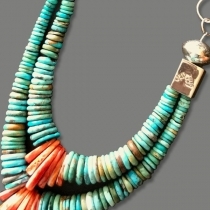 Nestoria uses the highest grade of stones and shells in the tradition of Kewa necklaces. 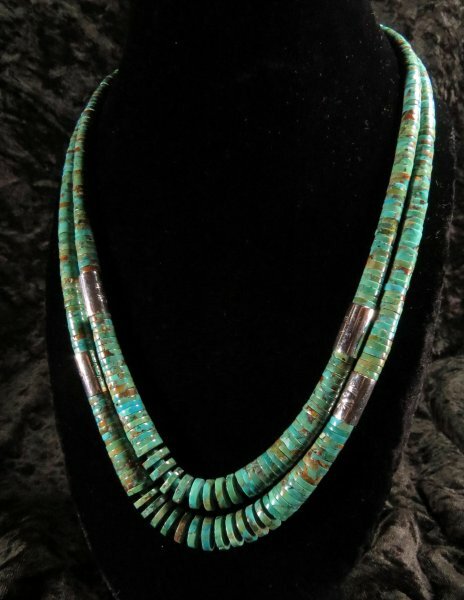 She uses all types of turquoise, including Turquoise Mountain, Blue Gem, Sleeping Beauty, Morenci, Royston, Carico Lake, Spider Web, Castle Dome and Nevada green in her designs, as well as all shades of spiny oyster, clam, gaspeite, Acoma jet, various corals, lapis and abalone. 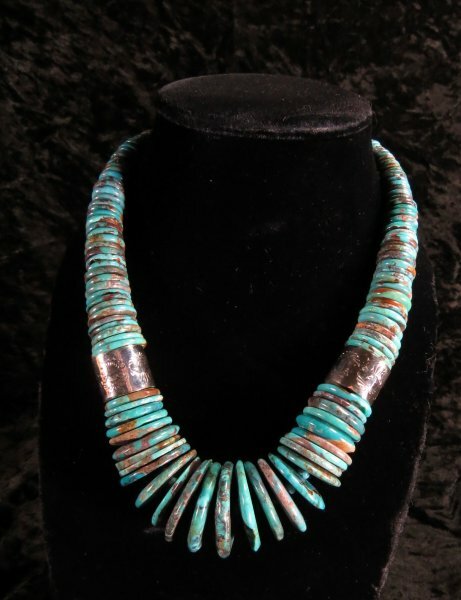 She makes all of her own sterling silver findings (cones, hooks and eyes) as well as the silver disks, barrels, and beads used in her pieces. 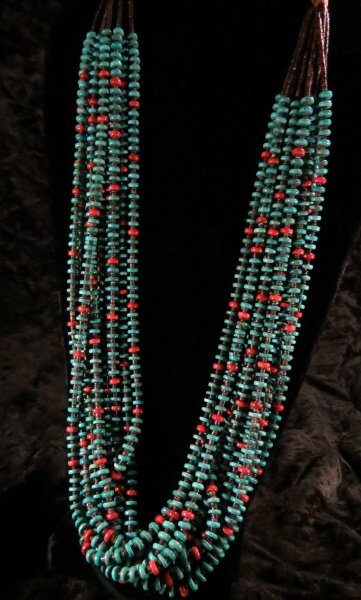 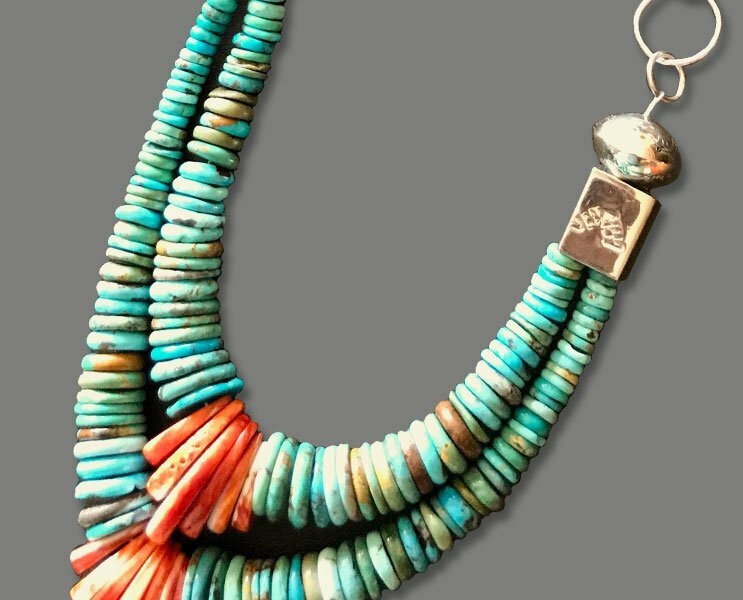 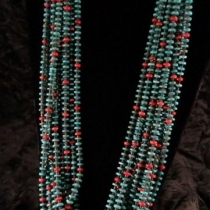 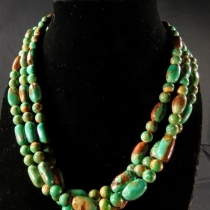 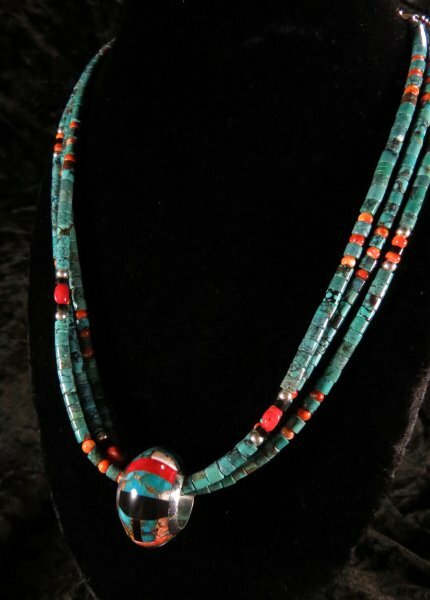 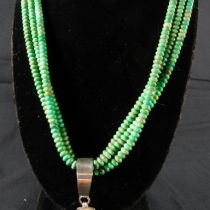 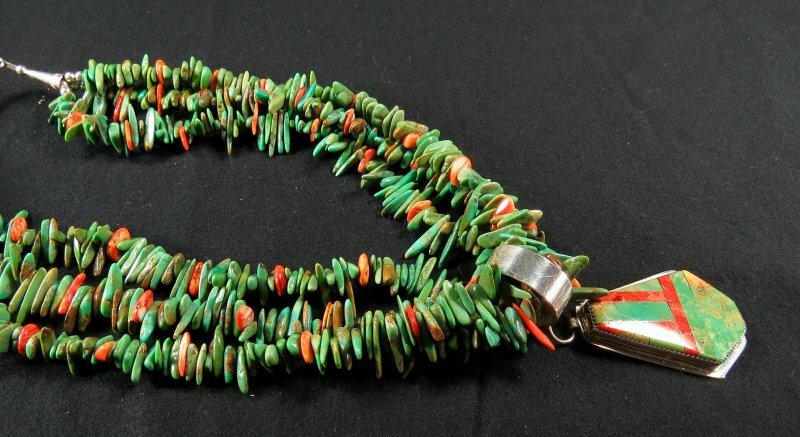 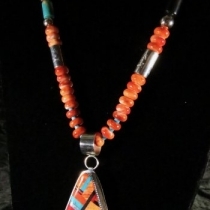 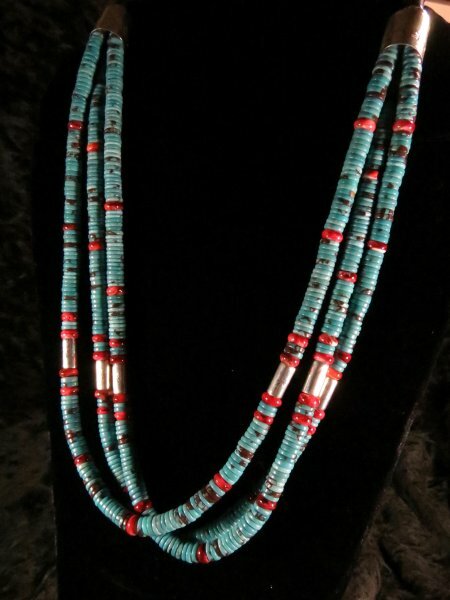 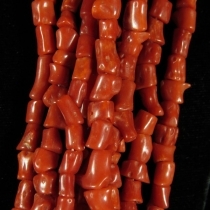 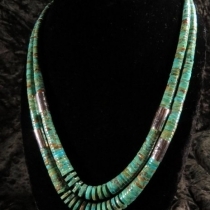 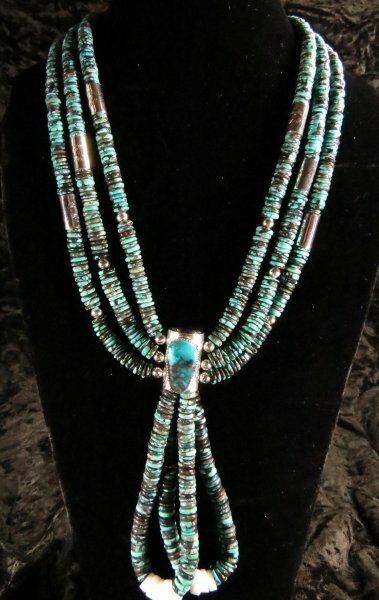 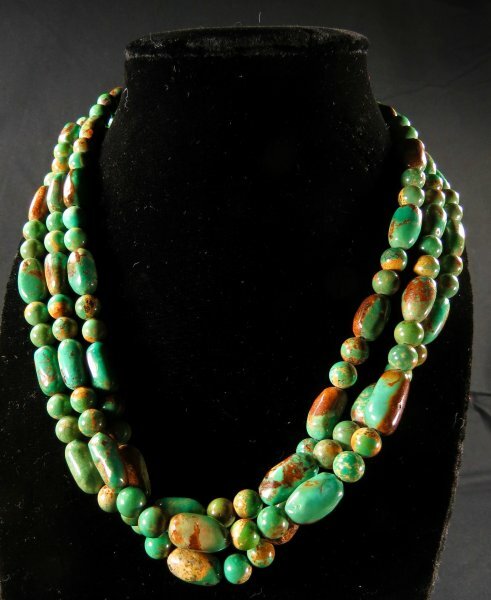 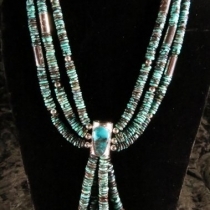 Her grandfather was a four-time governor of the pueblo and her father was still actively making traditional jewelry at the age of 96, before passing in 2009. 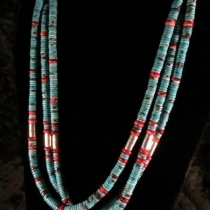 Nestoria’s three sons, Daniel, Rodney and Simon, are all following in the family traditions of creating and crafting unique pieces. 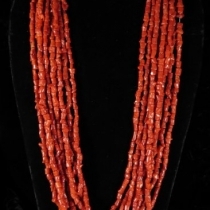 Son Daniel served two consecutive terms as Governor, the youngest ever so chosen. 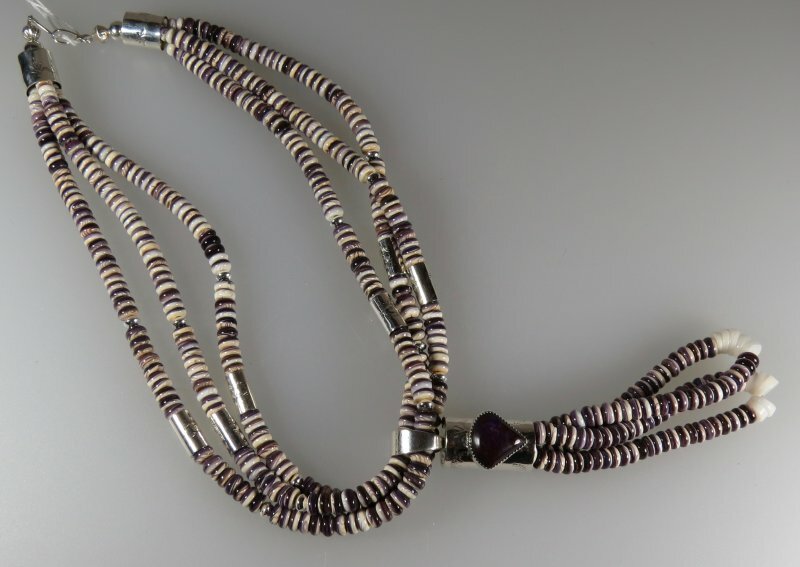 Nestoria is in her early 70’s and has created numerous award-winning jewelry designs including her matching drop pendants and distinctive inlaid silver barrel hoops. 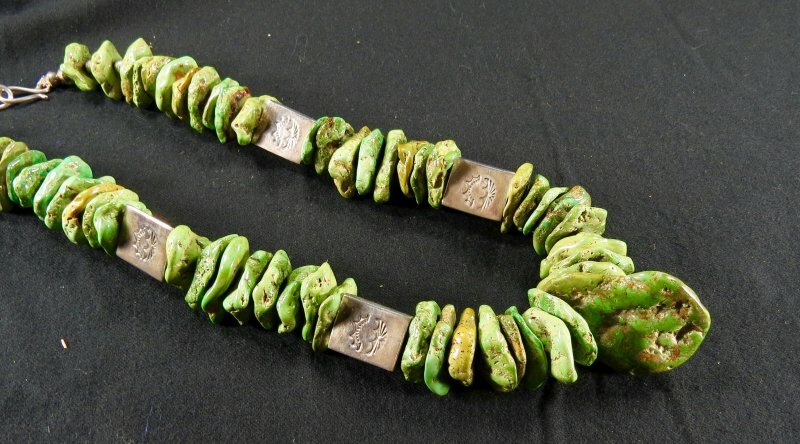 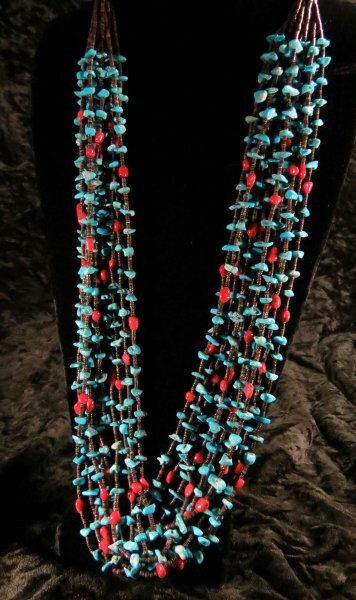 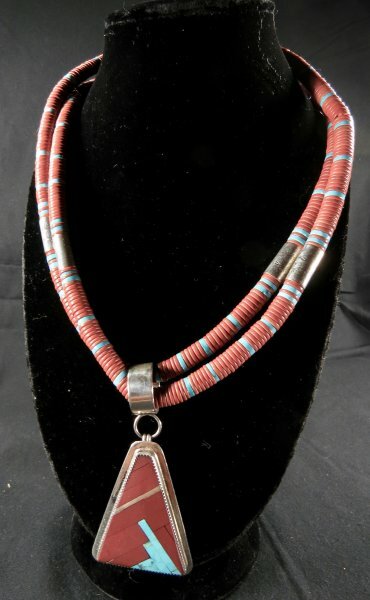 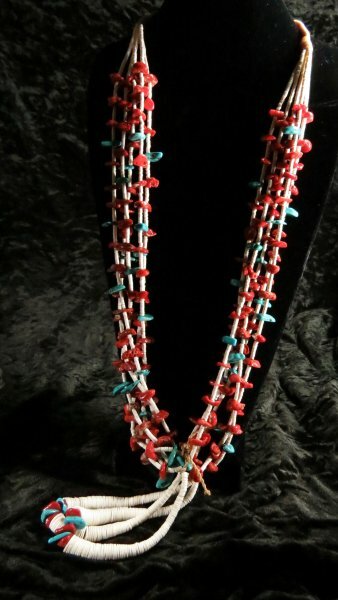 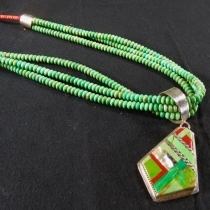 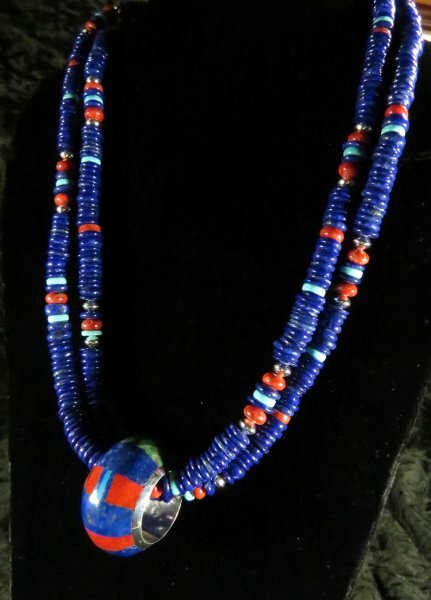 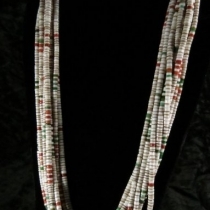 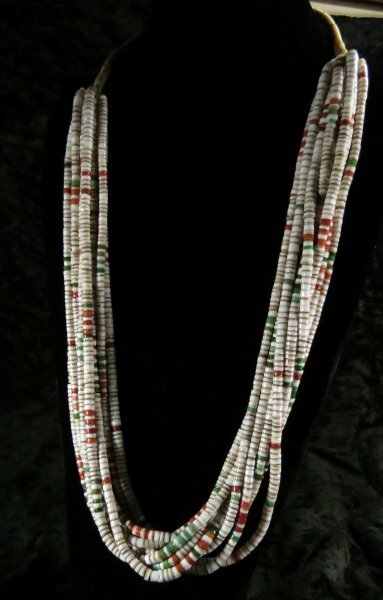 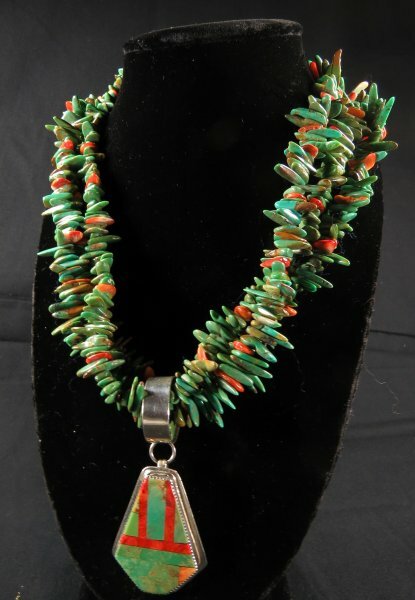 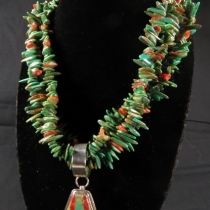 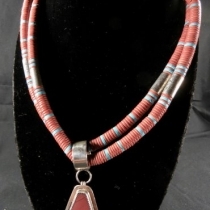 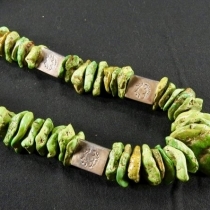 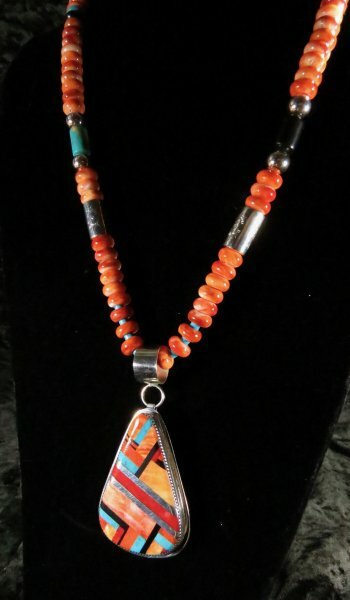 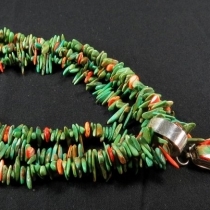 Her Kewa necklaces are displayed at many of the top galleries throughout the southwest and shown in gallery guides and advertising magazines. 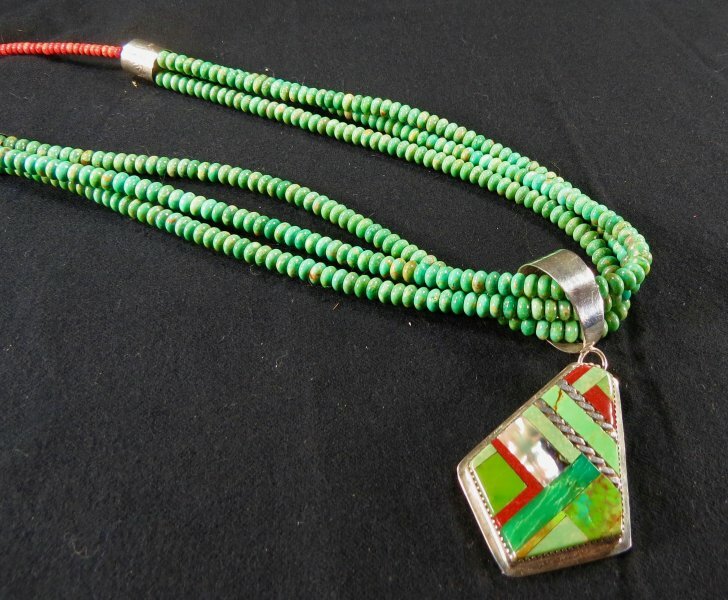 The annual Labor Day Weekend show at Santo Domingo Pueblo attracts many of the best Native American artisans to display their wares. 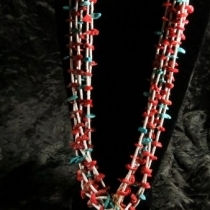 By happenstance, I attended and met Nestoria there. 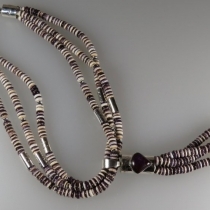 That was in 2005. 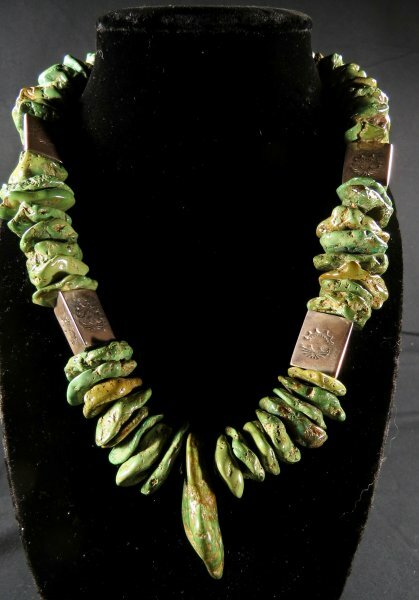 Since then I have been privileged to buy and sell her neckwear and to forge strong family relationships.